You are here: Home / Tactical Knife / What Are the Best Law Enforcement Knives? Law enforcement knives are designed to assist police, military and other protective agencies in situations where it is either unsafe to use a gun in a particular scenario, or it’s simply impractical to do so. Knives are specialized weapons and are designed first and foremost for protection of the handler by means of necessary force and the least amount of effort required to subdue their attacker. As such, some of these knives are very practical as self-defense knives and personal protection, as these were first and foremost designed to protect those who put their lives on the line to ensure a safer world for us to live in. Below, check out our interactive table full of knives that we feel are more than adequate. 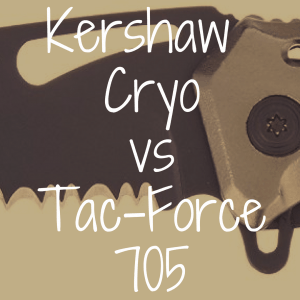 Inside the table, compare brands like Ka-Bar, Kershaw, Gerber and Spyderco branded blades based on price, blade length, and material. 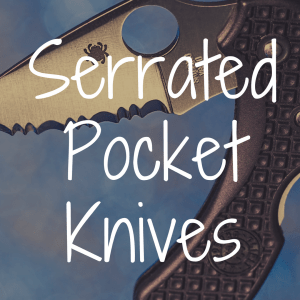 There are hundreds of quality knives from dozens of companies, but there are a few names that stand above the rest and are familiar to most knife enthusiasts: Benchmade, Gerber, Ka-Bar, Kershaw, Schrade and Spyderco to name a few. Below are a few examples of law enforcement knives and a brief overview of what they are designed to do. Boot knives are extremely useful in law enforcement. The boot truly is one of the easiest places to conceal a knife, as it will not give away a shape and is fairly easy to access. Two examples of fixed-blade boot knives are the Gerber Guardian Back-Up and the Schrade SCHF22. The Gerber Guardian Back-Up is a double-edged stainless steel knife with a spear-like tip. The sheath that comes with it has an adjustable tension, so it comes out when and how you want it to and not a moment before. It can be attached to your belt, boot or pocket. The high carbon stainless steel has been blackened to eliminate any reflective properties so it does not draw unwanted attention. This blade has a nylon handle to prevent any slippage, regardless of any liquids that may be on there. The Schrade SCHF22 is made from a solid piece of SEA-1070 High Carbon Steel and features a modified tantō blade and a rear window breaker. It features a sheath, which will allow it to be attached to your belt, boot, pocket or chest making it convenient to access. The entire knife has been powder coated to remove the chance of any reflection. The knife was designed for tactical and survival purposes, while the hollow handle provides a compartment where survival equipment such as matches can be stored. As you can see, despite both of these knives being fixed blade boot knives, there is a distinct difference in their make-up as well as their deployment and style. Finding the perfect blade is completely up to the individual and what feels comfortable for them. General fixed blade knives are useful in almost any situation. They usually fasten to the belt, pocket or MOLLE attachments if the uniform is equipped with it. Two fixed blade knives are the Benchmade H&K Plan D Plain Edge and the Ka-Bar TDI Law Enforcement. The Benchmade H&K Plan D Wharncliffe is a smaller blade designed to be useful as either a right or left hand carry. It is made with a N680 stainless steel that has been blackened to avoid light reflection. It has a custom molded sheath, which can be adjusted for right or left handed withdrawal as well. The blade is 2.9 inches long and features a curved profile making, this knife ideal for stressful situations as there is next to no way for an assailant to remove this blade from your hand without causing serious injury to themselves. The way it is formed also makes it next to impossible for you to cut yourself regardless of how well you are able to control your movements. 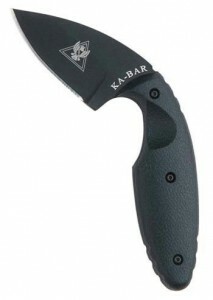 The Ka-Bar TDI Law Enforcement takes the curved profile a step further and turns this blade even further inward. This knife has a short blade as well, which prevents deep stabbings even though it will easily slash through any material it comes across. Like the Plan D, the TDI LE is shaped to ensure weapon retention, ambidextrous grip and draw as well as a sleek black coating to ensure no-one sees this knife until it is too late. The one potential negative of the Ka-Bar could be its unique design. Should an attacker be able to get a hold of the arm or hand that’s holding the knife upon its draw, the fact that the knife itself has such a significant curve and is angled inward could result in the user of the knife potentially being harmed. While this isn’t a necessary “flaw”—it’s more hypothetical than anything—it is something worth thinking about before you make a purchase. With that said, the fixed blade knives above are obviously not the same as a standard straight tantō or drop point, but are more geared to law enforcement and limited piercing ability. After all, subduing an attacker does not mean that they have to be dropped permanently. While these are meant to be used as a last resort, and therefore situations that would call for the use of these blades are exceedingly stressful, the overall design allow for that fine line between adequate and excessive force to remain uncrossed. The other main contender for a law enforcement knife is the standard folding knife. These knives have proven their usefulness for decades and as they fold into themselves, they require less room and no sheath, making them easily accessible from any position. The two knives that I have chosen to feature here are the Kershaw Emerson CQC-6K and the Spyderco Tenacious G-10. 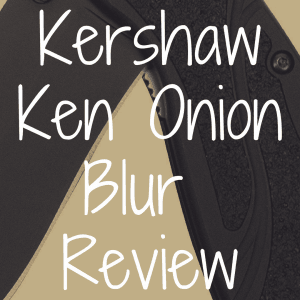 The Kershaw Emerson CQC-6k is a collaborated effort between two knife making giants. Emerson is known for its incredibly durable knives, whereas Kershaw is known for producing quality knives of all types. The finished product is an incredibly sharp stainless steel knife at a reasonable price. This knife features a reversible clip and opens manually via the tab on the top of the knife. This tab is primarily designed to catch on the pocket’s edge on its way out, therefore by the time the knife reaches a usable position it is fully deployed saving valuable seconds. 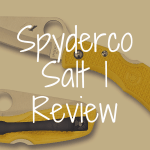 The Spyderco Tenacious G-10 is a large folding utility knife, which is commonly used as an everyday carry knife as it fits comfortably in your pocket or bag. It features a plain edge made of stainless steel and textured G-10 laminate scales. This knife works amazingly well and the price is certainly appropriate, too (can be found around $40 online). Folding blades can be as complicated (assisted opening) or as simple as you wish. They are wonderful for self-defense too, as they can be carried by anyone in almost any location without a large bulky sheath in the way. Are you looking for an everyday carry? Everyday carry knives are ideal for keeping on your person at all times. These knives can do a little bit of everything in both urban and rural settings. These knives are very common both within and outside of law enforcement. 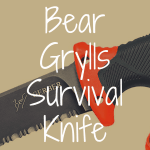 Do you want a fixed blade or a folding knife? Whether it is a requirement for the job or a personal preference, finding which type of knife you are looking at is a huge first step. Do you want carbon steel or stainless? (If you are going for a folding knife, it is best to go with stainless steel, as carbon steel has a tendency to rust easily in that situation). Both carbon steel and stainless steel have their positives and negatives. For instance, carbon steel may be harder and heavier, but without proper oiling and care, this blade will surely rust. What laws are in your area regarding blade length? Some areas require a knife to have a blade less than 3-4 inches. This is something that must be taken into consideration, as this is something you cannot For further information regarding state laws and knives please click here. Law enforcement knives go from the entry-level ones of less than $20 and can go as high as several hundred dollars for a single knife. As you can see, there are a number of items to consider and only you will be able to calculate the risks and benefits to the knives you are considering. One thing you may have noticed is that I completely avoided the subject of switchblades and other push button knives. These blades are usually legal for law enforcement personnel, but are not available to the general public or anyone who has not obtained a permit for them. 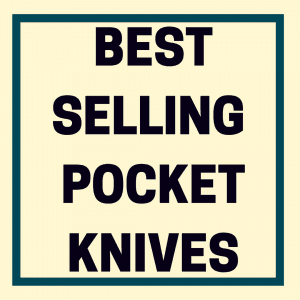 There are other articles discussing the usage of push button knives, switchblades and other knives in that category here. Just like any person shopping for a new knife, it is important to look over your options. The right knife will sit comfortably in your hand and will feel like an extension of your arm. Looks really don’t come into play when deciding on a law enforcement blade, as function should always be the primary focus of any knife hunt. For more in-depth knife reviews, please be sure to bookmark our home page.